Rees Harps Terms & Conditions — Rees Harps Inc.
Rees Concert Lever Harps terms and conditions. We require all customers to sign-off on these terms and conditions prior to purchase. It is very important that we all understand our commitment to you and yours to us. All Rees Concert Line Harps are built to order. We require a minimum of 25% down upon placement of the order with the balance due at the beginning of the month in which the harp is scheduled to be completed. We accept Visa, MasterCard, Discover, American Express and PayPal. We also accept domestic and international wire transfers. For domestic orders we accept personal or company checks. We will accept cash if you are picking-up your harp. Should you need to cancel your order for any reason, your downpayment is non-refundable. You are, however, welcome to apply that payment to any of our other harps. For instance, you may use it to purchase a Special Edition Fullsicle Harp or even several Harpsicle® Harps. Our standard lead time is sixteen weeks unless you order fully custom ornamentation. In that case the artist will quote a delivery schedule as part of the agreement process. All Rees Concert Line Harps are guaranteed to be free from defects in workmanship for the life of Rees Harps Inc.. All Rees Concert Line Harps are guaranteed to be free from defects in materials for five years. It is the buyer's responsibility to return the instrument to Rees Harps Inc., all shipping and insurance being prepaid. This warranty is null and void if the harp has been tampered with, damaged by accident, neglected, misused, left exposed to either extreme heat or cold or if the Rees Harps Inc lutherie tag inside the instrument has been removed. Should the strings of the harp be changed to anything other than the type and gauge listed on the Rees Harps string chart for the specific model of harp and without the express, written permission of the lutherie, this warranty is null and void. In all cases we reserve the sole right to determine neglect as well as any of the above listed warranty exceptions. At the direction and sole discretion of Rees Harps Inc, certain minor repairs may be directed to be done in place (without shipping), by a local professional, when it is determined that the shipping will present an unnecessary risk to the instrument. In such cases, the warranty explicitly remains intact. In some states you may have legal rights other than those stated herein. All Rees harps come with a satisfaction guarantee. Upon receiving your new Rees harp, if you are not fully satisfied with your harp please let us know within ten days of receiving your harp so that we may work with you to address and correct any concerns. 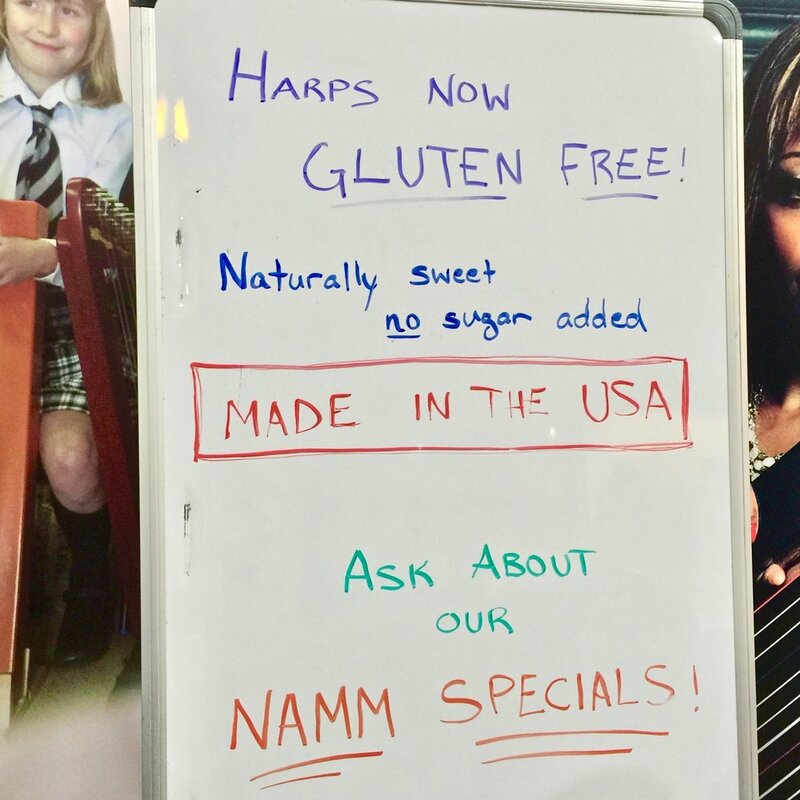 We stand by the quality of our harps and want make sure that all of our customers are completely happy with their new instrument. While it is extremely rare, items can be damaged during shipping. Due to carrier requirements we are unable to accept damaged items without prior inspection by the carrier. If you received a damaged harp you must immediately contact your local carrier and arrange for an inspection of the carton and its contents. The proper inspection and damage claim must be filed with the carrier before we can accept the return. Contact us for return authorization before shipping your harp back for repair or replacement. All prices are quoted in US currency. All boxing and shipping charges are additional to the cost of the instrument. All shipping is FOB Rising Sun, Indiana.